A strong parent/community and school relationship will only strengthen your child’s ability to be successful. We know that everyone is extremely busy but there are many ways to get involved in your child’s school that do not take that much time. First and foremost, join the PTA at your child’s school. They have monthly meetings and discuss what is going on in the schools, and it provides many opportunities for you to help out during the day and at special activities. The Barberton PTA is a great group of supportive parents that are willing to go above and beyond to help our students and schools. Secondly, you have the opportunity to serve on the school’s Building Leadership Team, we call this the BLT. During these meetings staff and parent representatives discuss student academic data and progress and determine what is important and what strategies will be used to improve progress. 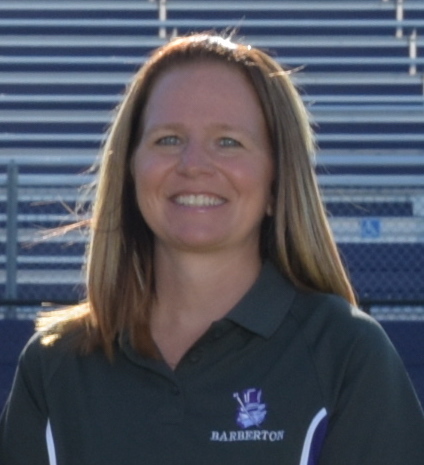 You can join the BASB (Barberton All Sports Boosters). They have monthly meetings and discuss fundraising and opportunities to support all athletes and sports. You can join the Band Boosters and support our outstanding music programs. Dads, at the elementary schools they have a group called the Watch D.O.G.S. (Dads of great students). They do many wonderful things for the students and staff at the elementary schools. You can also volunteer to be a mentor or to read to students. At the district level you can get on the FACT committee and meet with the treasurer to discuss district finances and how we work every day to be fiscally responsible. You can get on the BAC (Business Advisory Council), and discuss how local businesses and industry can support, work with, and drive programing in the schools. You can get on the Community Connector Committee where we discuss school district academic goals, initiatives, and programing. Finally, you can always set up a time to come in and talk to me if you ever have any questions, suggestions, and/or concerns about what we are doing in the Barberton City School District. If you are unable to attend or get involved with any of the activities that I have mentioned, you can be involved in your child education by attending Parent/Teacher conferences, we have expanded conferences to evenings and day times (check our calendar). You can access progress book at any time that is convenient for you to get a detailed report about your child’s academic progress and attendance. You can get on the SECURLY site to monitor your child’s internet history. You can get on the district Vocabulary site and go over your child’s vocabulary words with them. Parents can attend afterschool activities and programing such as, Financial Aid night (FAFSA), educational programing on topics such as, “the opioid epidemic”, schools funding, suicide awareness, and early childhood and mentoring. You can attend musical performances, The Tri-Arts festival, and a multitude of athletic activities. It is my hope in the future to provide more programing and education events for our families. Let me know if you have any suggestions. If you do not have a student in the school system that’s okay, we want you to be involved in what we do and be on our team. You can join the community connectors group, the FACT group, or stop in to meet with me for a discussion. Periodically I will have community meetings at local businesses such as McDonald’s, Giant Eagle and Durbin’s. You are all welcome to come to those events. If you have an idea and/or suggestions for us we would love to hear it. We are always striving to meet the needs of the community and do a better job. If there is anyone in the community that would like to receive our newsletter, please sign up on Barberton Schools Facebook or our web site. We would love to keep you informed about all the great things happening in our schools. If you have any suggestions or are interested in anything I wrote about, do not hesitate to call me for more information. i.C.A.R.E – Mentoring - Everyone needs support from people outside of their homes. Mr. and Mrs. Ramnytz loved me very much when I was growing up but it was the people who took an interest in me outside of my home that helped me get to where I am today. You cannot put a measurement on how important it is for an individual to have support outside of the home. The other adults in my life who did not have to take time with me but chose to, had a significant impact in my life. The relationships that developed were lifelong and still impact me today. In my younger days, I did not want to disappoint my parents or my mentors. When my parents weren’t around to keep me in line, my mentors stepped in to get me back on track. I still communicate with them today and can call them my friends. When I speak to them about how much they have helped me through the years, they always let me know that they received as much from this relationship as I received from them. My goal as Superintendent is to have as many students in the BCSD as we possibly can have this kind of support system outside of their homes. Currently in the Barberton City schools we have a group from the University of Akron that received a grant called The Community Connectors grant for mentoring students at the high school. Barberton community members and students from The University of Akron mentor our students under this grant. To help support and increase mentoring, we recently have involved the ICARE Mentoring program sponsored by The United Way. We have an ICARE representative Sarah Palace who works exclusively out of Barberton High School. Her job is to help the BCSD recruit and train new mentors. My goal is to have 50 more mentors on board by the end of the year. All mentors go through an extensive background check and get exclusive training and support on how to be a mentor through ICARE Mentoring. All we will ask of our mentors is one hour a week to meet with a student and to be that person who they do not want to disappoint. The mentoring takes place in the schools and during school time. Please consider being that person that takes an interest in a Barberton student’s life. It will have an immense impact on the student and you. 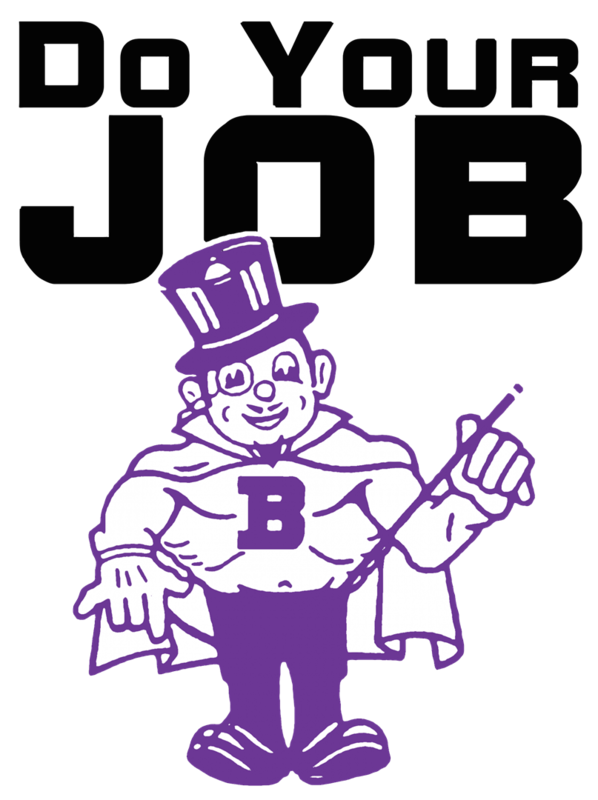 We will have a mentor recruitment fair on May 2nd at BHS or you can contact Sarah Palace, at Barberton High school. If you ever have any questions or concerns do not hesitate to call me. One of The Barberton City School District’s goals is to strengthen our student’s knowledge base which will begin with vocabulary. If our students have a stronger understanding of words, they will become stronger readers and writers. The new state mandated tests have increased in the rigor of content and vocabulary. Our teachers and curriculum department have been working extremely hard to develop lists of words for each subject and each grade level that will be mastered and built upon from year to year until graduation. The Barberton City School District has just launched our district-wide vocabulary website. Please visit this site at barbertonschools.org. We realize the importance of an advanced vocabulary to a student’s education. We have created a consistent and measureable vocabulary platform where each subject area has academic terms that need to be mastered. Teachers, parents and students are encouraged to explore the site and use it frequently. There are slide decks, word lists and flashcards for key vocabulary words that students should know based on their grade level. Together with our parents support, we can make sure our students have mastered each grade level word bank and create stronger students, communicators, and leaders. Our understanding of what we read and hear is determined by the strength of our vocabulary. Improving ones vocabulary is one of the most important academic investments a person can make, however, it is often disregarded. Most people these days use slang words and simple phrases when they speak and write. A strong vocabulary is sometimes overlooked and is considered to be unimportant. Young people who are looking to advance themselves in the (Three E’s- Enrollment, Enlistment, and Employment) need to be careful about their choice of words. A strong vocabulary will improve their communication skills and make them a more convincing candidate no matter what path they choose. Attaining a strong vocabulary begins in early childhood and continues throughout a lifetime. Whether we realize it or not, every time we speak, the language that we use will let others know how educated, competent, and successful we are. Therefore, it is not surprising that studies have shown that a strong vocabulary is directly linked to success and income potential. Grants you greater respect and credibility - When you use a stronger vocabulary, people will start to pay more attention to you and begin to follow your lead. Improves your communication and equips you to easily express your ideas - Having the right words to express your ideas effectively will make a difference in getting your point across. Improves your writing – You will create the impression you intend in your emails and letters. Improves your ability to earn high grades at school or college – You will be writing so well that your grades will likely improve. Improves your confidence with words and conversation – You will reduce the amount of stuttering and stammering for the right word and be able to make your point boldly and clearly without losing others’ interest. Improves your score on tests such as the SAT & ACT – You will have greater confidence with an advanced vocabulary when taking these type of tests. Empowers you with advanced reading and comprehension skills –You will be able to understand the words and concepts in most everything you read. Improves opportunities for promotion and career progression – It has been proven by numerous studies that a good vocabulary is a strong predictor of career success. Having this knowledge will give you a distinct edge over your competition.